I hope you are all having a good start to the week and are keeping warm. Calm reigns once more in the Chaplaincy after a busy weekend. Bishop John Arnold was delighted to meet so many of you after Mass on Sunday. A huge ‘thank you’ must go to everyone who helped prepare the liturgy, especially the servers, musicians and the dedicated team of silver polishers! I’m sure he left very encouraged by his visit. This week, there are a couple of changes to our regular schedule. Witnesses to Hope: Practical Apologetics will meet at the later time of 2pm on Tuesday to allow people to attend a talk given by Cardinal Vincent Nichols at the Centre for Islamic Studies at noon (register online and meet at the Chaplaincy at 11am if you’d like to walk over with us). Lunch will be provided as usual at Apologetics, and Fr Nick will present and be ready to answer questions on the topic of biblical fundamentalism. Hope to see many of you there! On Friday from 7pm, we will host an information evening for the Student Cross Holy Week Pilgrimage. Come along if you want to hear tales of the walk from Oxford to Walsingham from experienced pilgrims. The evening will close with a time of prayer followed by cheese and wine. Have you been to Confession yet this Lent? While it can be so tempting to shy away from this beautiful Sacrament, we encourage you to come to the Chaplaincy this Saturday at 5pm for a time of prayer, thanksgiving and reconciliation at the end of term. We will have Adoration for around an hour, accompanied by music and reflections, and an opportunity to encounter the Lord’s mercy in confession. This will be followed by a simple soup supper. Finally, we are once again collecting food for the Community Food Bank. There will be a basket in the Narthex for the next two weeks – please give generously! We’re praying for you all this week. Hope to see you soon! 5pm – Thanksgiving and Reconciliation Service. “Come to me all you who labour and are heavy-burdened, and I will give you rest” (Matthew 11:28). Prayer will be followed by a simple supper. 2pm-3pm – Witnesses to Hope: a practical guide to Catholic Apologetics. Unsure about how to respond to the ‘tough questions’ about our faith? 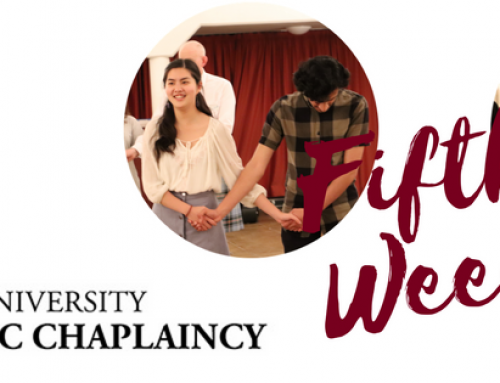 This week, Fr Nick will present on biblical fundamentalism. Simple lunch and snacks provided! 6pm – Scripture Series with Fr Nick, John – Going Deeper into the Mystery. Talk open to all in the Blue Room. Why do we fast during Lent?? If you’ve ever wondered this, join us for a talk by the wonderful Fr Richard Finn OP. In the true spirit of penance… the talk will be preceded by a delicious, homecooked meal at 7pm, and as always, will be followed by Adoration and Benediction. All welcome, so please invite your friends! 7pm – Student Cross information evening followed by cheese and wine. Open to all. As it’s the end of term, our 11am Mass will be followed directly by a delicious lunch! 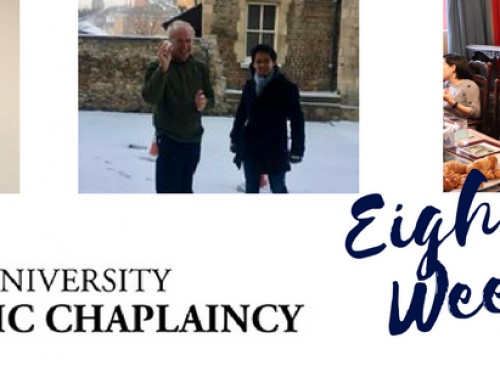 Fr Matthew will lead a group on the third Winter Walk, departing the Chaplaincy at 1:45pm. There may be snow, so come prepared…! “Dialogue in Action: the witness of St Francis of Assisi” lecture by Cardinal Vincent Nichols at the Oxford Centre for Islamic Studies, Marston Road. Please register online for this event. 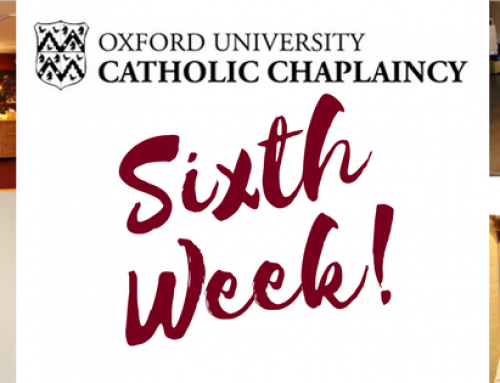 We’ll be walking up from the Chaplaincy at 11am, so do join us if you can! 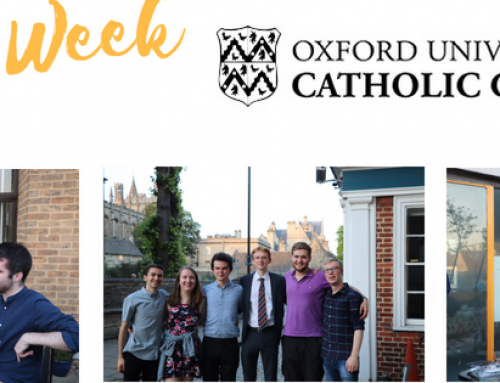 “The Idea of the University in the 21st Century” – Chancellor Chris Patten gives the annual Newman Lecture at Pembroke College. All welcome! Oxford Chaplaincy will be taking a group to the Paris to Chartres Student Pilgrimage:Hosted by the Chaplaincy of the Sorbonne-Assas International Law School, we will spend a day or two in Paris before joining the walking pilgrimage to the beautiful Cathedral of Chartres, with hundreds of other students and young professionals. 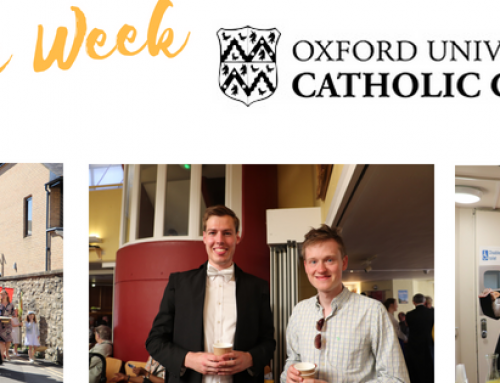 Student Cross: Oxford to WalsinghamJoin students from across the country for a walking pilgrimage in Holy Week, carrying a cross, accompanied by Fr Simon Bishop SJ, former Oxford Chaplain. For more info, contact one of the Chaplains. Well done for making it through this mammoth email; what a blessing it is to have so much going on! As a reward for making it this far, the first person to respond to me having read this gets a FREE chocolate bar (or Lenten alternative) of their choice…! Fr Matthew, Becky, Fr Nick, Fr Ian, Fr Keith.